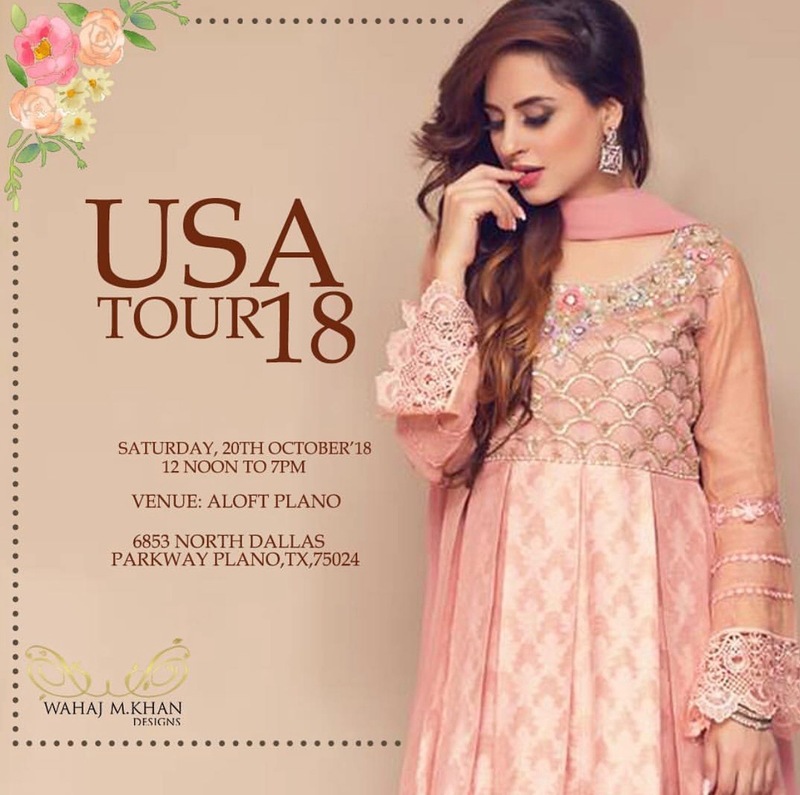 Nadia Chhotani & Wahaj M Khan - THIS WEEKEND! 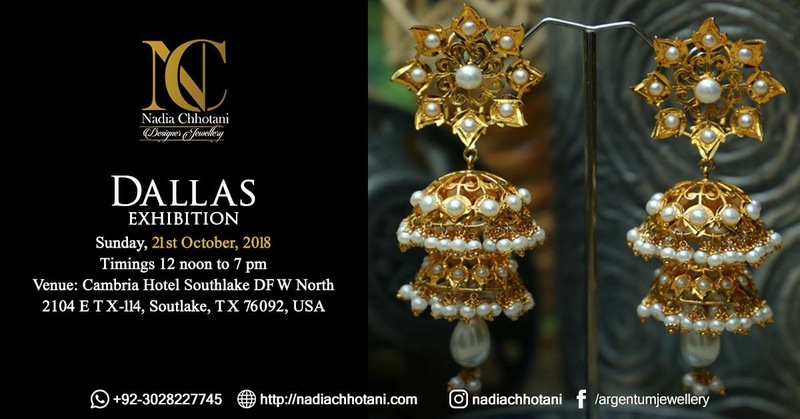 Nadia Chhotani and Wahaj M Khan are bringing their latest jewelry and clothing collections to dazzle you this weekend! Exclusive one of a kind silver and gold plated jewelry from Pakistan that is the featured on many Pakistani dramas and movies like Jawani Phir Nahi Aani, Chalay Thay Saath, Manto and the upcoming drama Alif. Nadia's current collection is old school and traditional. Pieces are embellished with real precious stones especially naurattan and pearls. 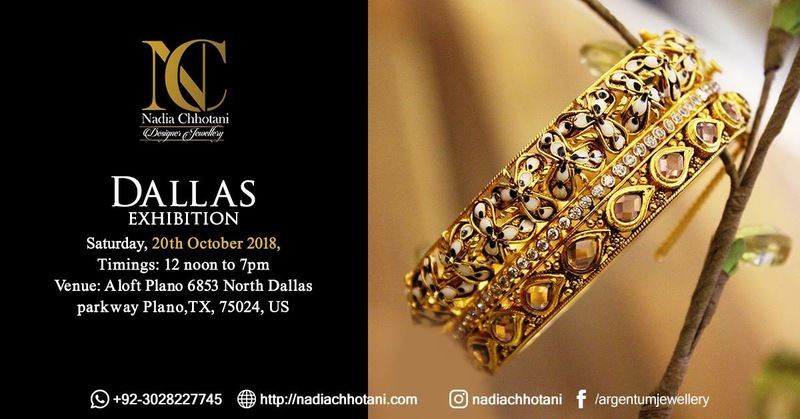 Nadia will be bringing her collection of rings, Karhas, Polki, and Maalas with prices starting at $40. Along with Nadia will be the fabulous clothing line of Wahaj M Khan. The fashion label by Wahaj Moiz Khan has taken the Pakistani fashion scene by storm! Presenting to the Dallas community for this wedding season exclusive formals and luxury pret at affordable prices. Wahaj will be bringing his winter oriented collection with semi formals in velvet, as well as shawls. Pret wear starting at just $80. Look up the facebook page of Wahaj M Khan Designs!